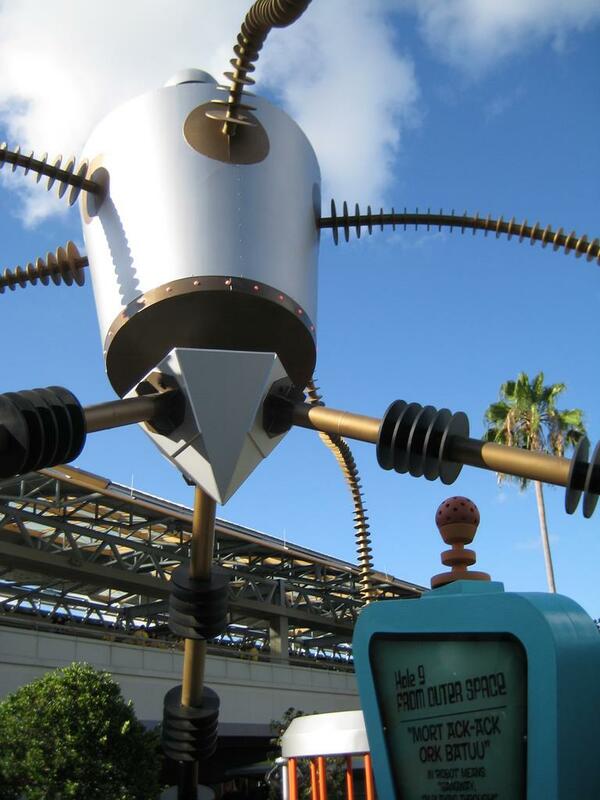 The Saturday Six is a weekly look at the most interesting, most fun, and sometimes even the most outrageous things within the theme park world that we all love so much. Whether it’s the top six attraction queues, the top six food options at Fast Food Blvd, or even the top six signature drinks at Universal, the Saturday Six will be your personal guide to experiencing the very best Orlando has to offer. Mini golf courses are ubiquitous in Orlando, but Hollywood Drive-In Golf is the only one you don’t have to travel to after a day in the parks as it’s part of Universal CityWalk. 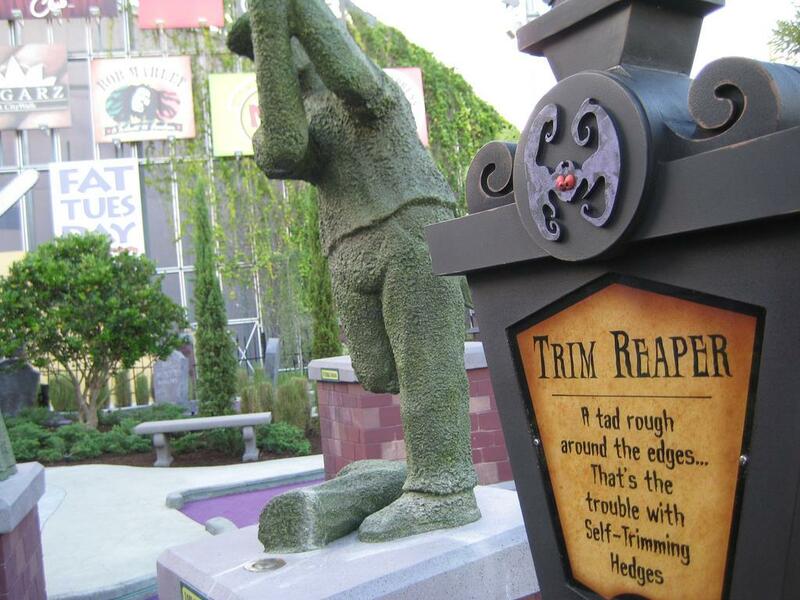 In fact, the mini golf course is the first thing you will see when entering Universal through the parking garages. 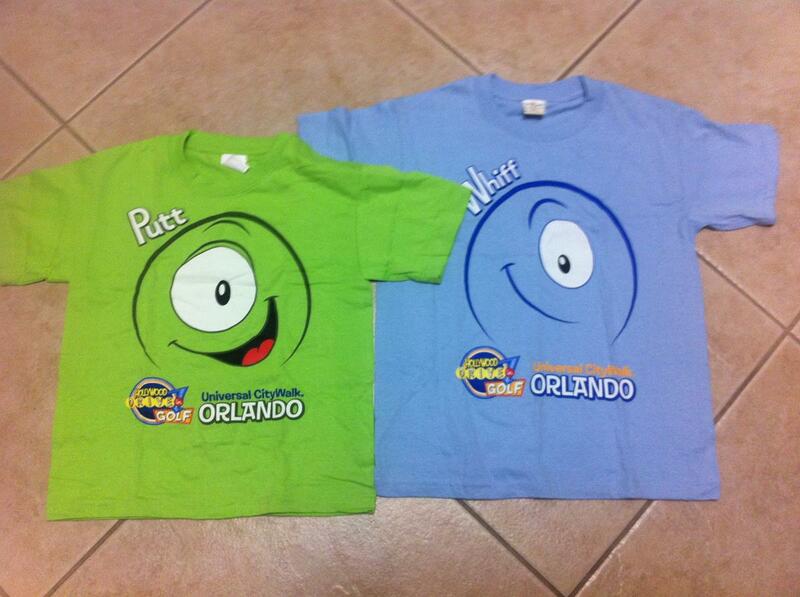 It’s impossible to miss the huge themed elements from The Haunting of Ghostly Greens or Invaders from Planet Putt (such as the haunted house, the monstrous worm, or the giant robot) on your way to Islands of Adventure or Universal Studios Florida. The hours of operation are 9:00 a.m. to 2:00 a.m., 7 days a week, so it’s the perfect place to go if you need a break from the theme parks during the middle of the day, or are looking for something to do once the parks close. 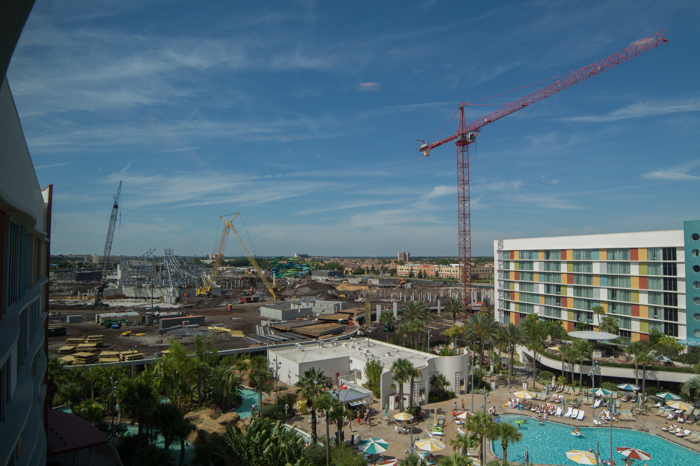 This location is especially convenient if you are staying onsite at one of Loews hotels at Universal, as it’s just a short walk back to your room. Hollywood Drive-In Golf figured out a way so that you don’t have to lug around a scorecard and a pencil throughout your entire game. It offers a free app for your smart phone that allows you to pick which course you are playing and keep track of your scores. You’ll also be able to share your scores to Facebook, as well as get some app-exclusive surprises once you start plugging your scores in. In addition, the app displays the day’s best scores, as well as all-time best scores on each course. You can still keep track of your scores the old fashioned way, as Hollywood Drive-In offers a score card and pencil, allowing you the opportunity to drive yourself crazy at the end of the game trying to add up everyone’s scores. Standard pricing for 18 holes is $13.99 for adults and $11.99 for children aged 3-9. However, if you go to HollywoodDriveInGolf.com you can save a dollar off each course by booking your game ahead of time. And whether you are at CityWalk or buying online, if you pay for 36 holes you get a free Hollywood Drive-In Golf T-shirt. Don’t worry, you don’t have to play all 36 holes at once. You can play one course and then come back another day to play the other side. There are also several other opportunities to save on games including Universal Annual Passholder, Florida resident, military, senior (ages 62 and over), and AAA member discounts. One of the best things about both Universal and Disney is their use of music throughout the parks. A lot of the time the music is so subtle you hardly know it’s there, but it provides a level of depth that you just won’t find in any other theme park. 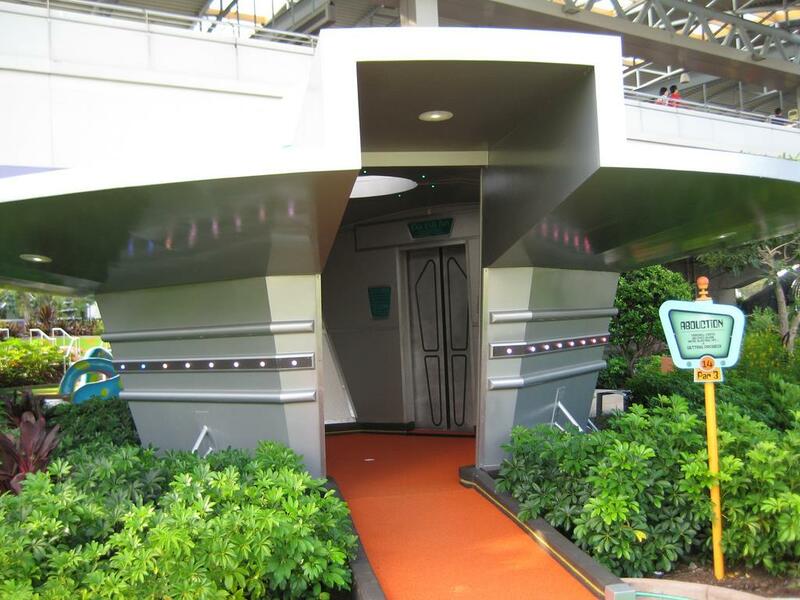 Whether it’s the background music on Main Street, U.S.A., at the Magic Kingdom, or the incredible industrial-type sounds Universal plays outside Transformers: The Ride-3D, what we hear as guests can completely immerse us in our surroundings. Hollywood Drive-In Golf has two separate dedicated soundtracks, one for each course. 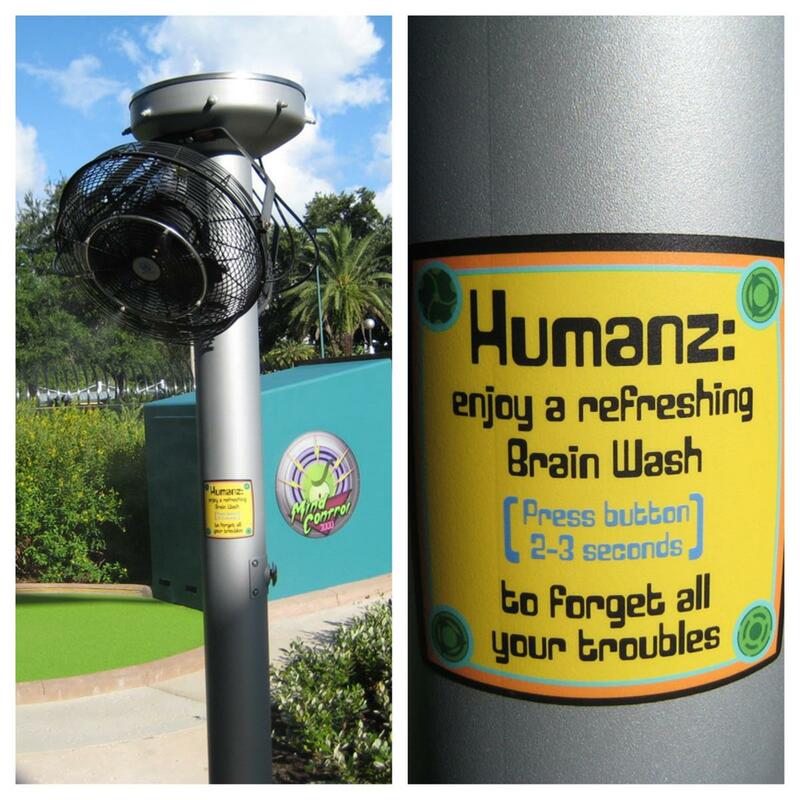 Invaders from Planet Putt, the alien themed course, has theme songs from TV shows like The Jetsons and movies such as Men In Black, combined with popular music such as “Spirits in the Material World” by The Police and “It’s the End of the World” by R.E.M. Meanwhile, the Haunting of Ghostly Greens, the horror themed course, has theme songs from shows such as The Munsters and The Addams Family, along with songs such as Michael Jackson’s “Thriller” and the Halloween staple “Monster Mash.” There’s just something special about playing mini golf at Universal and hearing the theme song from Ghostbusters in the background. 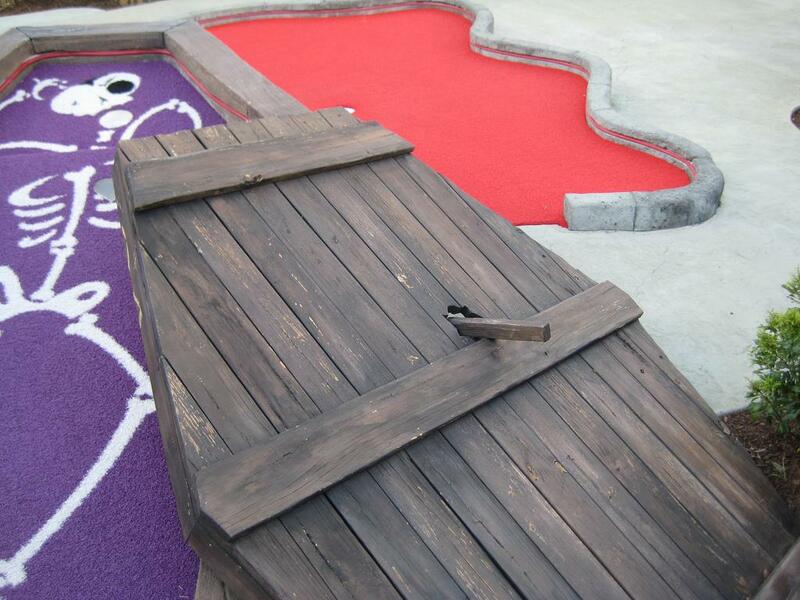 Most mini golf courses only have elaborately themed holes on the 18th hole to end the game, but Hollywood Drive-In Golf is filled with unique hole designs. 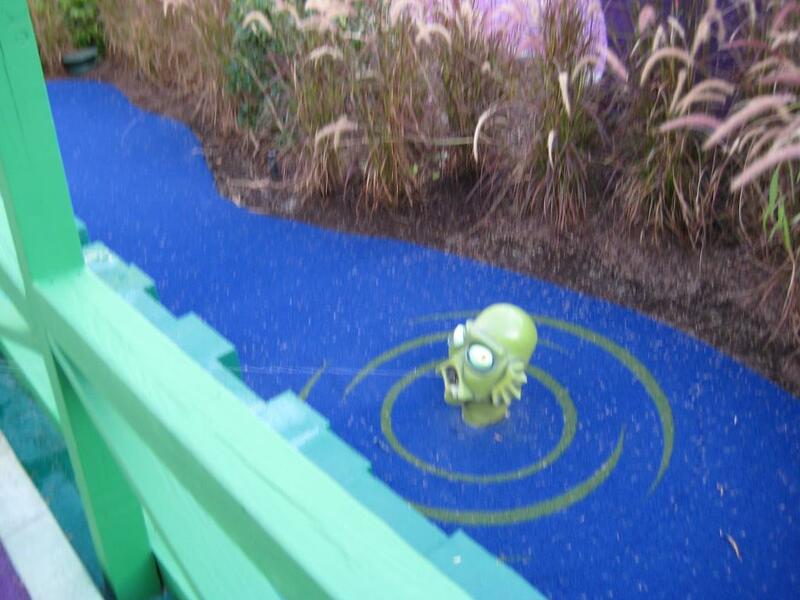 One hole has the Creature From the Black Lagoon spitting water over the walkway you need to pass through. Another hole has a huge alien ship that you need to walk through and actually press a button so that a door opens, Star Trek-style, to let you out. Many holes have an element you need to knock your ball through in order to trigger a special sound effect. It’s a non-stop barrage of clever in-jokes, insanely well designed holes, and unique lighting elements. The 18th hole on each course is something to behold, as one side uses a Rube Goldberg-esque contraption to move your ball along, while the other side has the actual hole, itself, on a turntable moving the entire time. 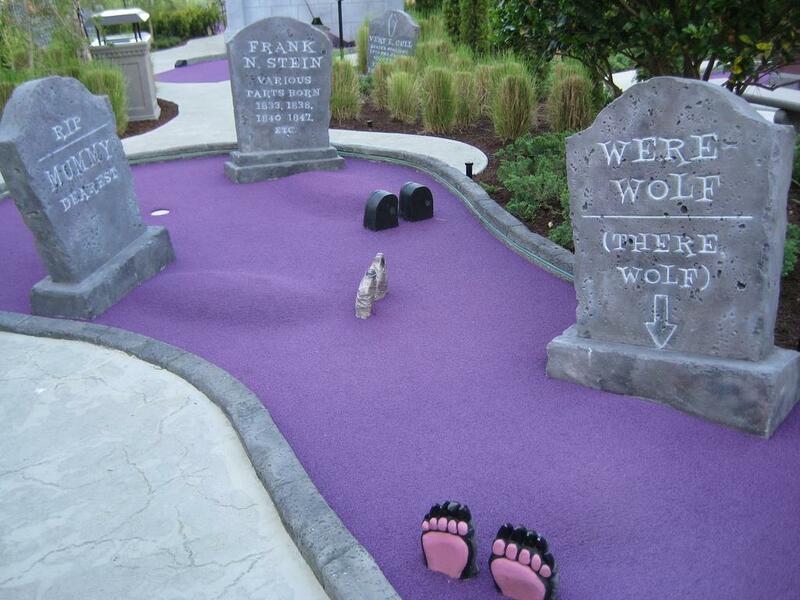 My favorite hole is on the Haunting of Ghostly Greens side, and it is a hedged maze you must play through that reminded me of the third Tri-Wizard task in Harry Potter and the Goblet of Fire or the end of The Shining with Jack Nicholson. It’s a hole that’s relatively simple but completely unique. 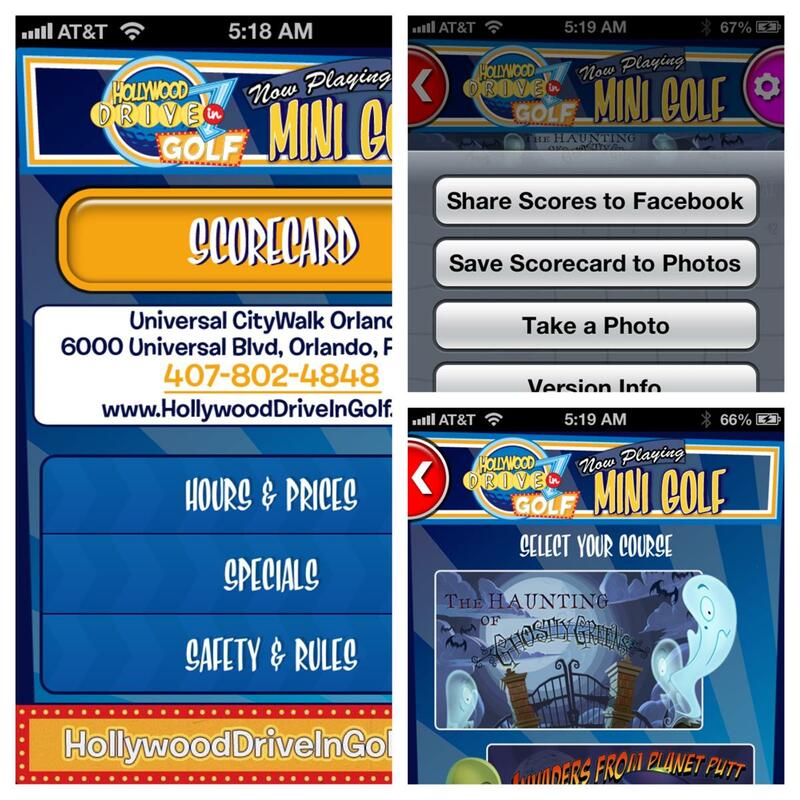 So there you have it: the top six reasons Hollywood Drive-In Golf at Universal CityWalk is the best miniature golf in Orlando. It’s perfect for every age group, and I would encourage playing one course during the day time and one at night because the area completely changes once all the lighting elements kick on for evening play. There are lockers available to rent if you do not want to carry anything around while you play. I’ll have to try this on my next trip. It looks fun. We so wanted to try this last year when we were there but didn’t have the time. It is on our ‘must do’ list for the next visit.